I've finished the custom artwork for my box using the online editor tool, now what? 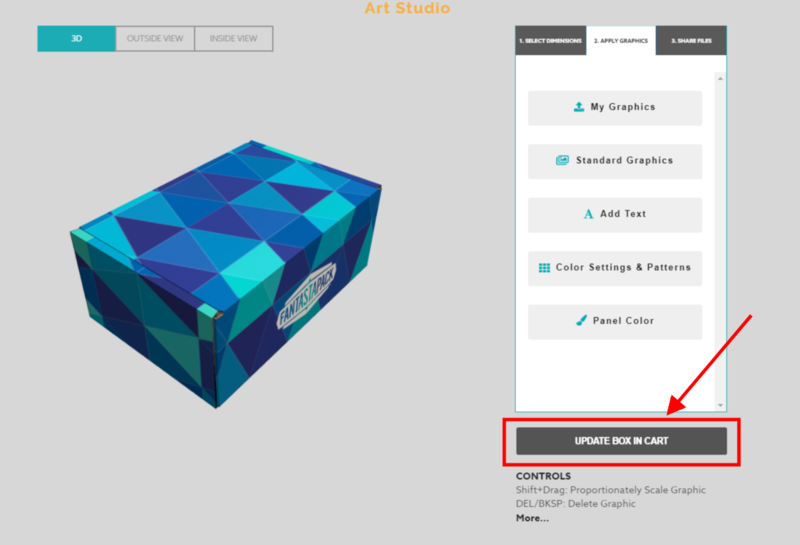 When you’re finished designing your custom box with Art Studio, it’s easy to place your order. 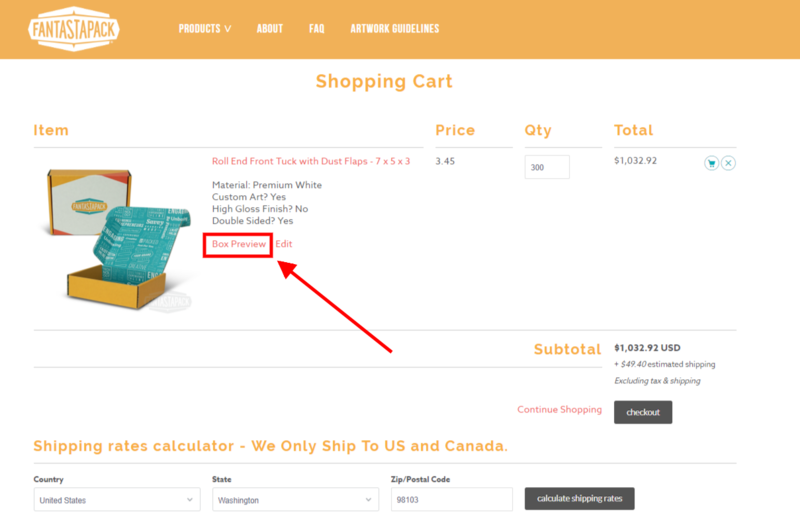 Simply click the “Add to Cart” button below the graphics editing controls. Your box will be loaded into your shopping cart and is ready for the checkout process. If you wish to make any edits to your box once you have added it to your shopping cart, select “Edit” from your shopping cart and the editor will re-launch with your saved design. 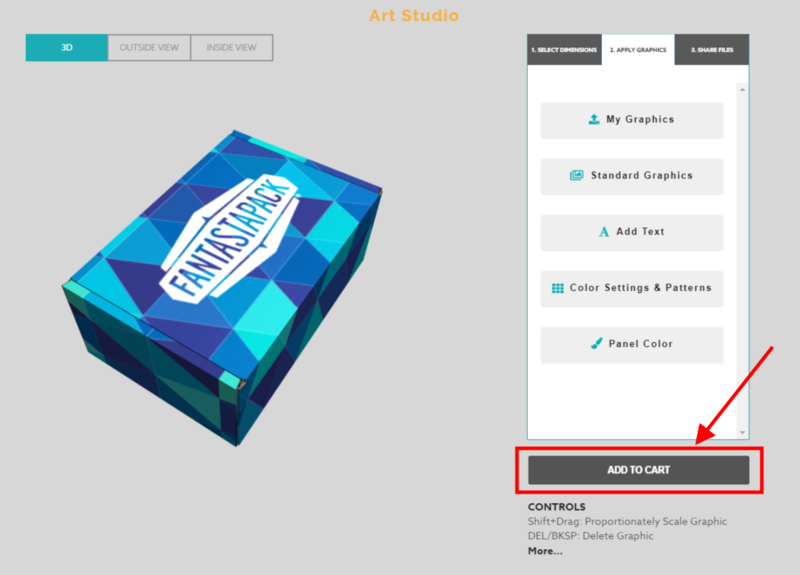 If you want to preview your 3D artwork from your cart (without editing) simply hit the “Box Preview” button below the picture of your box in your cart. 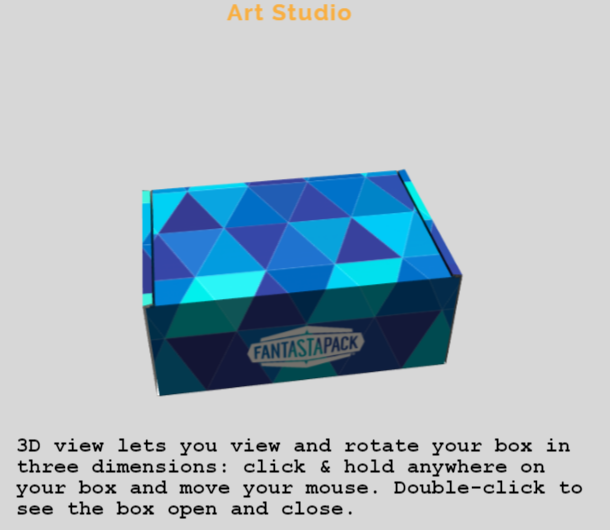 Your box preview will open and you can turn it as you wish to see all sides, as well as double-click on it to see it open and close. 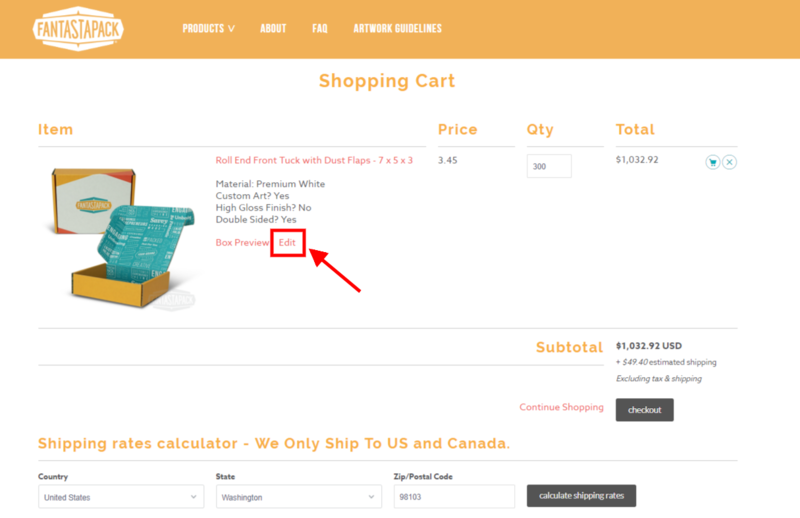 To go back to your shopping cart, simply click Back to Cart on the top left of your screen.